New York: A team of US researchers including an Indian-origin scientist has identified three more genes that contribute to the most common type of glaucoma. The findings increase the total number of such genes to 15. “Just in time for Glaucoma Awareness Month, this unprecedented analysis provides the most comprehensive genetic profile of glaucoma to date,” said Paul A. Sieving, director of the National Eye Institute (NEI), part of the US National Institutes of Health. These findings open avenues for the pursuit of new strategies to screen for, prevent and treat glaucoma. “This is the first direct report to show the association of a gene linking oxidative damage to glaucoma,” added Neeraj Agarwal, programme director at NEI. 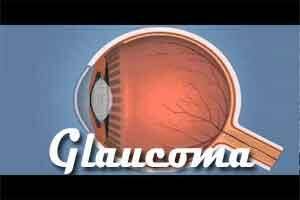 Glaucoma is a group of conditions that damage the optic nerve, the bundle of nerve fibers connecting the eye to the brain. Primary open angle glaucoma, the most common type, was studied in this analysis. For the new study, the researchers compared the DNA of 3,853 people of European ancestry with primary open-angle glaucoma to a similar group of 33,480 people without it. The analysis showed that specific variations in the genes FOXC1, TXNRD2, and ATXN2 are associated with glaucoma. Additional analyses also found associations between glaucoma and these gene variants. All three genes are expressed in the eye. TXNRD2 and ATXN2 are active in the optic nerve. Scientists had already identified an association between FOXC1 and glaucoma, but only in rare cases of severe early-onset glaucoma.